This daily hydrating complex is rich in firming peptides and skin strengthening flavonoids. This serum helps to protect and nourish depleted and stressed skin with Glycoaminoglycans enhancing firmness and moisture retention. Supports, repairs and deeply hydrates with Beta Fructan, Lecithin, and Beta Glucosamine. Leaves skin resilient, smooth and regenerated. Apply a thin layer to clean, dry skin in am and/or pm. Benefits are cumulative with regular use. Best used within six months of opening. Aqua (Water), Squalane, Hexadecyl D-glucoside, Octadecyl D-glucoside, Caprylic/Capric Triglyceride, Glycosaminoglycans, Glycine, Soja (Soybean) Protein, L-sodium Hyaluronate, Glycerin, Palmitoyl Oligopeptide (MatrixylTM), Palmitoyl Tetrapeptide-7 (Matrixyl 3000TM), Butyrospermum Parkii (Shea Butter), Glyceryl Stearate, Acacia Gum, L-carnosine, Vaccinium Myrtillus Extract, L-menthyl Lactate, Rosa Rubignosa Seed Oil, Melaleuca Alternifolia (Tea Tree) Leaf Oil, Vaccinium Macrocarpon (Cranberry) Fruit Extract, Citrus Grandis (Grapefruit) Peel Oil, D-beta-fructan, D-beta-glucosamine, Olea Europaea (Olive) Fruit Oil, D-alpha-tocopherol (Vitamin E), Aloe Barbadensis Leaf Juice*, Retinol, Prunus Amygdalus Dulcis (Sweet Almond) Oil, Allantoin, Lecithin, Daucus Carota Sativa (Carrot) Seed Extract, Anthemis Nobilis Flower Extract, Benzyl Alcohol. I'm very sensitive to products and Arcona doesn't irritate my eyes at all. This product feels great and it delivers in every way, I will continue to use it because the product gives me the results that I'm looking for, great nourishment.. I use this product as primer/hydrating serum for my dry skin. It works beautifully under makeup, or just under everyday moisturizer and SPF. I noticed an immediate response in my skin, and can tell when I don't use it.Honestly, while my skin is plumper and makeup looks better, at the end of the day I still have my wrinkles and older skin. With this product, I just feel better in my skin and it looks better to me and others. And that is why I justify the cost. The smell is lovely, but not overpowering. I will be investigating other products from this brand. Highly recommend this product. I have been using this product for years and it is the best I've found for dry skin that is mostly in dry weather. I finished one bottle of this cream and then ordered a new one, which I eventually sent back because I found a similar product but much cheaper and without squalane. I have acne-prone skin and realized that squalane in this lotion could be responsible for some of my breakouts. This is basically a good ingredient for dry and normal skin and natural, but can be a problem for those who get clogged pores easily. I also usually use face night creams around my eye area because I see no reason why to buy another cream for night for under my eyes skin. This one was a bit of a problem for this purpose because it contains tea tree oil which has a cooling effect and it is not something you need around your eyes because it irritates eyes. So I just found another natural lotion with peptides, much cheaper and without this problem, which is pity because I love Arcona lotions and think they need to add more moisturizing/anti-age options to their line which exclude alcohol and other irritators. I have found ARCONA products to be the best out there. My skin has never looked better, and I love the lightness of the moisturizer. I have dry skin but don't like to load on lots of oily creams and lotions. 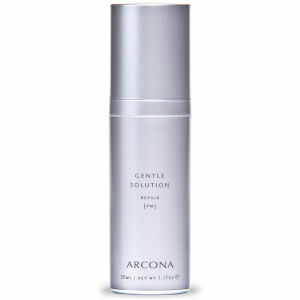 Arcona makes great lightweight products that hydrate without the greasy heavy feeling. Peptide Hydrating Complex is light, clean smelling and does the job, even in winter when the humidity is low and my skin loses moisture like crazy. Highly recommended! I discovered Arcona last fall and only wish I had done years ago! 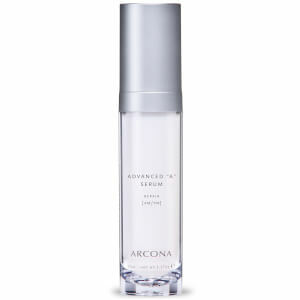 I spoke with an Arcona representative that recommended this to me for my skin aging issues. My skin is sensitive yet acne prone and this has been wonderful! Lines and wrinkles have diminished and overall, my skin looks so much better.....without clogged pores! 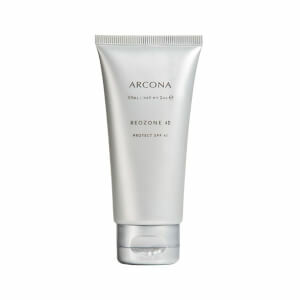 I use this AM and PM alternating with other Arcona products, all are great by the way.